Does Blockchain technology work? Jump to media player A fraud-proof system of transacting money is being developed - called Blockchain - based on the same technology that underpins Bitcoin. Bitcoin: MtGox exchange goes offline Jump to media player Bitcoin, a virtual currency which only exists on the internet, has become increasingly attractive as it does not involve exchanging currencies. 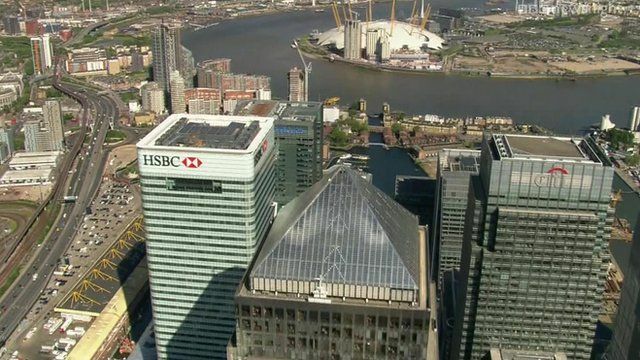 How London is embracing the Bitcoin Jump to media player Emilia Papadopoulos reports on the trading of the virtual currency, Bitcoin, in London. Tech review: This week's headlines Jump to media player Bitcoin exchange MtGox went offline after an estimated 744,000 Bitcoins were believed to have been stolen, plus other tech news. There is a lack of trust in some sectors of finance. A fraud-proof system of transacting money is being developed - called Blockchain. It is the model on which Bitcoin - the virtual currency is built. Newsnight's technology editor David Grossman reports.